Anthony Thomas Chicago Bears 16x20 #1009 Autographed Photo | Sports Memorabilia! 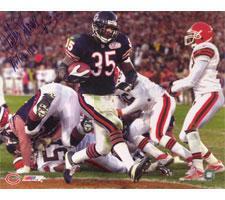 Anthony Thomas Chicago Bears 16x20 #1009 Autographed Photo. A NSD numbered hologram and NSD certificate of authenticity is included.